THE POWER OF TWITTER MARKETING FOR YOUR BUSINESS AND WHY YOU SHOULD USE IT? Are you new to internet marketing? If so, you may be looking for a crash course. Online, you will find a lot of information on using article directories, banner exchanges, and search engine optimization to market your business website. Yes, these are all effective approaches, but consider the unconventional approaches that aren’t always discussed in great detail. One example is Twitter. Twitter is an online social networking community that is user based. Members create a free account, develop a list of contacts, and then send and receive messages. Responses are sent with the use of @replies. These messages are 140 characters or less in length. They are sent through various avenues, including some mobile web applications, RSS, Facebook, and the Twitter website. At first glance, Twitter looks like nothing more than a common social networking website. Yes, it is, but there is more to this popular service. Remember, it can be an effective internet marketing tool. You can advertise your website, blog, products, or services in messages known as Tweets. You can create interest and clicks with catchy Tweets and links. Do you need more reasons to implement Twitter as an internet marketing tool? If so, continue reading on. Joining online programs and communities should be easy, but it isn’t always. You will not have this problem on Twitter. You register for a free account from Twitter.com. Next, you provide your email address and create a username and password. It is really as simple as that. In fact, you do not have to wait for a confirmation email to get started! With some internet marketing methods, you are lucky if you reach a thousand internet users. You will not have this problem on Twitter. Why? Because there are over 2 million members! Yes, you will not communicate with all of these members, but this is a huge audience for you to gain. In addition to finding contacts, members will find you. If you set your messages to public, as opposed to private, they will not only be sent to your followers, but appear on Search.Twitter.com. This means that other members can read your posts and opt to follow you. Marketing online is a great way to increase your earnings potential. You will find the best success with finding your target market on Twitter. These are individuals who will buy your products, buy your services, or visit your website or blog. An easy way to get started is to post link exchanges online. Visit message boards and ask for Twitter contact information. Also, visit Search.Twitter.com. Here, search for Tweets that are related to your blog, website or the products or services you sell. Send a reply. If possible, incorporate a link. As previously stated, incorporate a link into your Tweets. Do this when applicable. Instead of sending advertisements, take the clever approach. Answer the Tweet question by staying you are updating your website or processing sales and provide a link to your website. Since Twitter is free to join and use, you have nothing to lose. There are no investments required and no risks are assumed. As you can see, there are five great reasons why you should use Twitter as an internet marketing tool. In fact, the better question would be why not? Do you Twitter? If so, you may use Twitter to communicate with friends and family. This is the most common use of this online service; however, Twitter can be used for much more. When properly used, Twitter is an effective internet marketing tool. Hearing that Twitter is a great internet marketing tool is nice, but you may want to see proof. Please continue reading on for five reasons why you, as an internet marketer, should use Twitter. Twitter is rapidly increasing in popularity. In fact, there are over 2 million members. This gives you access to a large audience. Yes, you will not communicate will all members, but the possibility of doing so is amazing. To find contacts, search Twitter, ask for information exchanges online, and search for members based on email address, name, and location. Of course, you can add anyone to your list of contacts, but aim for your targeted market. If you are a selling a product, who will buy it? Find those people on Twitter. At first glance, Twitter may seem a little overwhelming. At first glance, it only appears as if you can add friends and family. This is not true. As previously stated, search Search.Twitter.com to find interesting conversations and reply. This is an easy way to make contact with those you do not know on a personal level. In addition to responding to messages on Search.Twitter.com, you send Tweets or updates to your followers. When you are following other members, you receive their Tweets or updates. It is easy for you to respond with a reply. When you Tweet about a product or service you sell, it is easy to generate interest. The more interesting your product or service is, the more interest will be generated. For example, many are now concerned with the environment. Do you sell eco-friendly products online? Send Tweets outlining a product you sell and ask for feedback. This not only generates clicks, but it may result in a sale. Plus, people forward and share what they like on Twitter. There are no rules against advertising on Twitter. There are rules on spam. For that reason, avoid sending large, bulky unsolicited advertisements. For example, encourage people to view your latest blog post, but do so no more than twice a day. Any more and your Tweets may be classified as spam. To increase your success, cleverly write your Tweets. It is easy to make advertisements appear like they aren’t even advertisements at all. As previously stated, do you sell an eco-friendly product? Instead of listing that product and its selling price, briefly discuss it and ask for feedback. This still gets consumers to view the product, but without the pressure to buy. Are you an online business owner? Whether you sell a product, a service, or generate income through affiliate links, internet marketing is a must. To generate a sale, you must first drive traffic to your website or blog. There are many ways for you to do so, including the social networking website Twitter. Before highlighting the benefits of marketing your business with Twitter, understand what Twitter is. As previously stated, it is a social networking website that also acts as a micro-blog. After signing up for a Twitter account, you develop a list of contacts. These are individuals you want to follow or receive updates from. Many will return the favor, becoming followers of your updates. There are no limits on how many messages you can send; however, there is a 140 character limit. Updates, otherwise known as Tweets, are sent through instant messaging, mobile web applications, RSS feeds, Facebook, and the Twitter website. By performing a search on Search.Twitter.com, you will see updates contain varying information. Some may ask questions on a new way to make money online, others may highlight their day, and so forth. The key to using Twitter as a marketing tool is to advertise without really advertising. Respond to Tweets found on Search.Twitter.com that are applicable to your website, blog, product or service. Occasionally send updates to your friends. Highlight your new blog post, summarize a product you are selling, or provide a discount code. You can also reply to members that you follow. You can generate traffic. As previously stated, whether you sell a product or service, either directly or indirectly, you need to drive traffic to your business website. You can easily do so with Twitter. Did you recently update your blog? If so, share a summary of your post on Twitter and then provide a link. You can generate interest. In addition to generating traffic to your website or blog, you can also generate internet. There are a number of ways to do so. First, create catchy Tweets. For example, do you sell a new eco-friendly product? If so, don’t just instruct people to buy your product, but ask for their feedback. Ask how it can help the environment. Then, ask your followers to forward information on your product to their contacts. When you have a catchy message and product or service, it is easy to generate interest on Twitter. You can make a sale. Regardless of whether you sell a product or a service, a sale will generate income. By increasing visitors to your website, you increase your chances of making a sale. You can go a step farther by making contacts that are within your targeted market. For example, do you sell children’s clothes? If so, your target market is parents. Perform a search on Search.Twitter.com to find posts that focus on parenting. You can offer a response that leads to your website, increasing your chances of making a sale. You can get feedback. As previously stated, a great way to subtly increase traffic to your website or blog is to ask for feedback. By providing a link, you will not only get website traffic, but you will also get what you asked for, feedback. For example, do you sell great products, but are your prices too high? Twitter members will let you know. You can update customers. When connecting with customers, may opt for newsletters. Yes, you can take this approach, but you can also do Twitter updates. Give your customers the opt in for Twitter updates. You can share promotional codes, new product releases, and so forth. If you take this approach, create a separate account for business and personal use. Finally, you can use Twitter to hire help. Whether you want to hire a full-time employee or outsource a writing project or two, you can use Twitter to find qualified individuals looking for work. 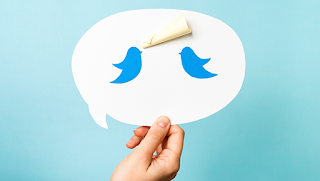 Do you want to use Twitter as an internet marketing tool? If so, it is important to be clever and discrete with your advertisements. Why? Because it leads to the most success. Hearing that advertisements on Twitter should be clever and discreet is one thing, but understanding the importance is another. To turn Twitter into an effective internet marketing tool, you must first understand the service, why it is used, and who uses it. Twitter, as you likely already know, is a social networking website. It is user based. For example, an internet user will create a free Twitter account. For your information, this process is very easy. Answer a few questions and you are ready to go. In fact, there is no waiting for a confirmation email! Next, Twitter members search for contacts on the site. They can do so by importing their email contact list or searching for members by name, location, or email address. These options are found under the “Find Friends,” link on Twitter.com. Members can also use Search.Twitter.com to find and read public Tweets. Often times, contact is made with those with similar interests. Avid internet users ask around their online communities for Twitter information exchanges. As for why people use Twitter, there are various reasons. For example, you want to use Twitter as an internet marketing tool. With that said, most use the service to connect with friends and family. This is because updates, otherwise known, as Tweets are sent. These messages are under 140 characters and shared various ways, including by Facebook, the Twitter website, mobile web applications, and instant messaging programs. So, why is it important to use discrete advertisements on Twitter? As previously stated, many internet users rely on Twitter to stay in contact with friends, family, and coworkers. This means that common messages are shared, such as “Hi,” “How are you doing?” or “I’m going to the party this weekend, are you?” Since most use Twitter for social purposes, you want your advertisements to have a touch of socializing to them. It is also important to use discreet advertisements on Twitter because you don’t want to create a bad name for yourself or your business. Regardless of how you generate income online, you are running a business. To retain a profit, you must create a positive brand. People who use Twitter do not mind advertisements from time to time, but they tend to frown upon receiving them everyday. It is also important to use discreet advertisements on Twitter so your Tweets are not considered spam. Spamming is prohibited on this service. If you are found to send bulk unsolicited messages on a regular basis, you may lose your Twitter account. That is if you have any followers left. So, how can you create discreet advertisements on Twitter? The easiest way to discreetly advertise a website, blog, product, or service on Twitter is with @replies. Visit Search.Twitter.com. Search for Tweets that are focused on a product or service you sell. For example, do you sell office supply furniture? Look for messages where users are searching for it. Send an @reply with a link to your store. Yes, this is still an advertisement, but it is also an applicable response.